Durian fruit is regarded as the king of fruits by many people in Southeast Asia. These fruits grow large and pack a powerful odor. 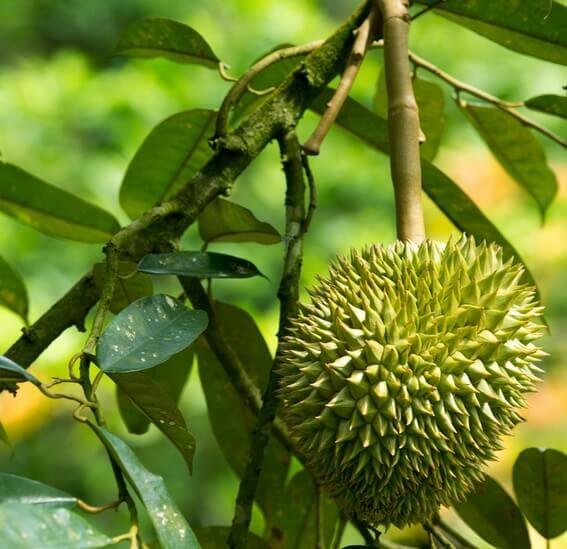 Although many Asians enjoy the taste and aroma of durian, the scent is so overpowering it’s often banned from hotels and public transportation. The durian fruits yellow flesh is encased by a thick and prickly rind. Its eaten at various stages of ripeness and used to flavor desserts in many regional cuisines. 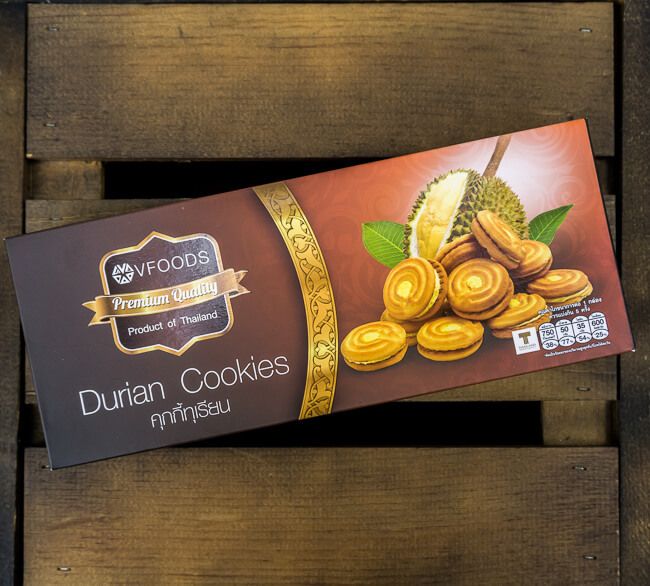 I picked these durian cookies up New Golden Sparkling Asian Market in Orlando. I’ve tried the fruit several times and have never been a real fan, but I decided to try them anyway. How a fruit with such a horrific stench emanating from every putrid molecule of its flesh could be made into a dessert baffled me so, I threw a box in the cart. What the hell, right? 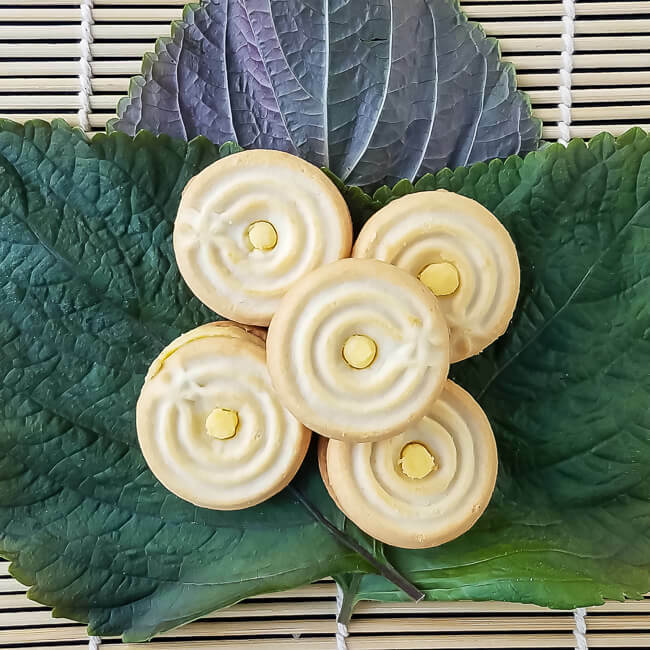 These cookies are small, round, yellow, and wrapped in a heavy-duty plastic bag. The thick aroma of rotting flesh dipped in onions wrapped in a thousand sewage soaked socks filled the room the very moment the seal was broken. It was like a cross between a deer rotting in the woods and freshly baked pastries. As my wife fled in horror, I popped one in my mouth and began to chew. My sense of smell was overwhelmed a bit a first, so I didn’t really know if I enjoyed the flavor. After eating the first one and sealing the remainder in a freezer bag, I went about my business. As the aftertaste and aroma began to fade I began craving more. Over the next few hours and over the course of the evening, I scavenged several more cookies from the bag. Somewhere along the lines, I started enjoying them. I guess it’s kind of like how a vulture comes to like the horrid smell and putrid taste of an animal carcass baking in the sun. 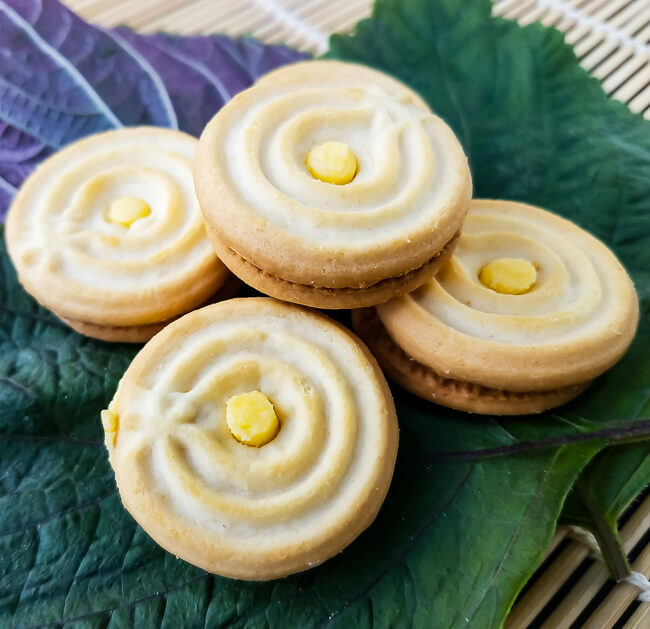 When it comes to durian cookies, once you get past the smell you’ve got it licked. Then you can start enjoying the savory sweetness of the custard-like filling. I’ve eaten lots of desserts but nothing like durian cookies. Do you have the backbone to give them a shot?